It was not unusual for the publication of antebellum slave narratives to be preceded by illustrations of climactic aspects of the tale. Nevertheless, no narrative received more widespread acclaim for a pre-publication illustration than Running a Thousand Miles for Freedom (1860). Primarily written by William, the slave narrative recounts William and Ellen Craft’s amazing escape to freedom through role reversals, imposture, and disguise. Ellen effectuates the theatricality of the antebellum fugitive. She performs the role of a Mr. Johnson: a white male and owner of her darker husband William. He conversely plays valet to his master-wife and comments on the gender-bending action with droll irony. 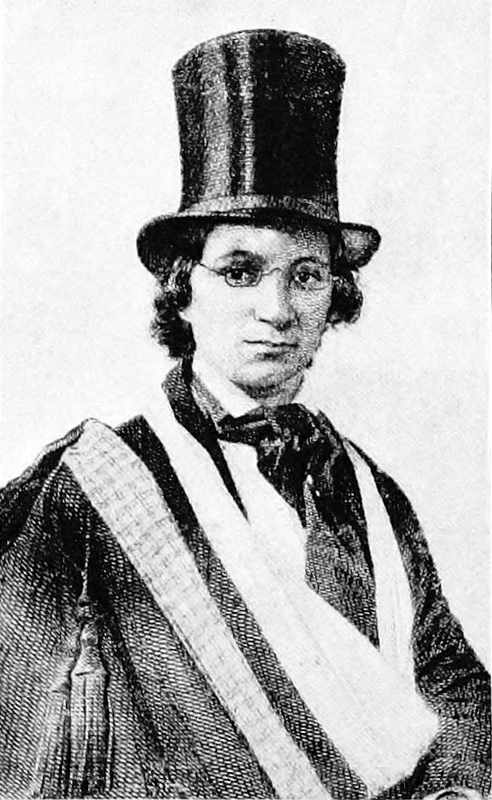 First published nearly a decade before the narrative reached print, the famous engraving of Ellen Craft circulated widely in newspapers of the 1850s both in England and America. As you can see here, it renders the light-skinned female slave as an enfeebled Southern slaveholder. Get up! You can do the wench no good; therefore there is no use in your seeing her. Although he was told that there is no use in seeing his sister, William employs the narrative and the image of Ellen Craft to restore value to the act of seeing the slave woman. At the same time, both of these texts subvert the expected representation of embodied femininity usually associated with slave women. In contrast to William’s exclusive achievement of literacy in his narrative, Ellen remains the exclusive subject of the engraving. There she seems to possess a measure of importance surpassing that of her representation in the slave narrative. With its prefatory function in mind, we may note how the image foments the desire to consume later cultural texts related to it. Indeed, it is linked commercially in two important ways to the narrative. First, it was an advertisement for abolitionist lectures of the early 1850s. Copies found their way into periodicals weeks before scheduled lectures. Second, it was a commodified poster meant to be consumed without direct relation to an ensuing lecture. Copies were advertised alongside other recognizable texts in the abolitionist arsenal of anti-slavery bestsellers. The earliest publications of the engraving cannot be classified technically as illustrations since they do not visualize referents outside of their immediate context. No narrative accompanies these images nor do they illustrate the escape per se. In some cases the engraving is included as part of a newspaper article detailing the escape. Even so, the image does not explain the escape nor seek to depict it in the usual metonymic relationship of illustrated part to a referred-to scene since the escaping Ellen wears a poultice covering her face and nothing obscures the face of the engraved Ellen. Rather than illustration, the engraved image is a portrait, or better yet an anti-portrait of Ellen Craft in garb resonant of her escaping self but not necessarily reflective of that self. Much like a frontispiece, the engraving pictures Ellen Craft ennobled beyond the world of the text. But unlike the frontispieces which famously inaugurate many slave narratives and hence emphasize authorial agency, Ellen’s engraving transcends traditional bonds to verbal texts. To some extent, the picture even works outside of the economies of racial voyeurism that Sterling Lecater Bland, Jr. compellingly discovers in the narrative. For even if the narrative arranges William and Ellen in what he calls an “exterior self-division” (152), displaying William the slave as the author-observer of Ellen the figural white slave owner so that the reader may “see the ways in which white maleness is indebted […] to the visual presence of and conception of black masculinity” (154), the picture of Ellen never includes William. Therefore, as a portrait sold sometimes without direct relation to William’s lecture or narrative, the engraving confers status to Ellen Craft as a subject of visual commodification in whose image a collection of complex visual signifiers are deposited, free to run amok.